This is a list of work that needs to be done at Pilgrim Hall and the amount of money each job will cost. The total is also added up and included on the bottom of the sheet. 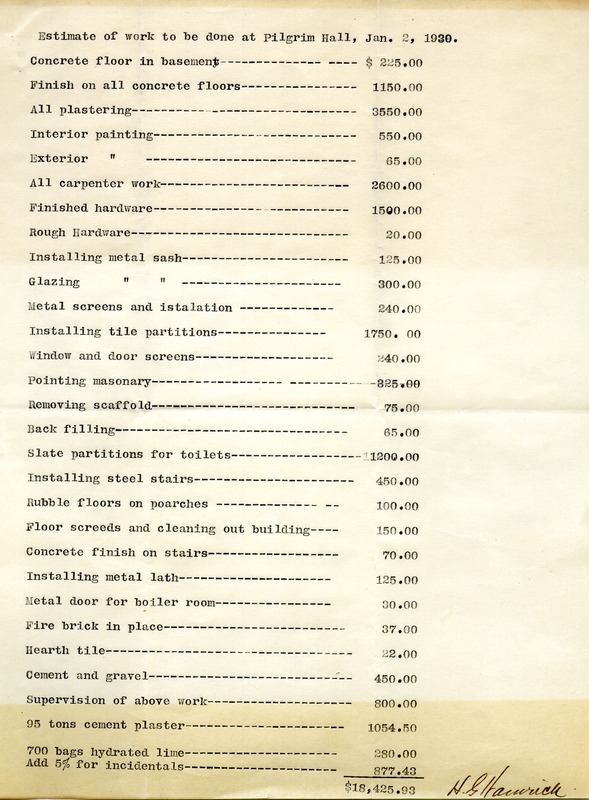 H. G. Hamrick, “Estimate of work to be done at Pilgrim Hall.” Martha Berry Digital Archive. Eds. Schlitz, Stephanie A., Sherre Harrington, Andrea Rodgers, et al. Mount Berry: Berry College, 2013. accessed April 20, 2019, https://mbda.berry.edu/items/show/12748.